One of my favorite summer pastimes is sitting out on the deck and photographing the Ruby Throated Hummingbirds that call our yard home. This year, we have a huge crop of birds, and sometimes a dozen are chattering and sparring over the feeders at the same time. I’ve tried a variety of cameras and lenses, but I’ve now decided that what works for me is the Nikon D3s or D800E and the 70-200 2.8 VRII lens. It’s not the lens I have with the most reach, but I think I achieve better results because it’s the one I know best. If I haven’t shot 100,000 images with it yet, I’m almost there. It’s like another appendage to me. I’ve tried the Sigma 120-300 2.8 and a monopod because of its weight, but I found I couldn’t maneuver fast enough when the birds were in flight. It was fine for capturing them at the feeder or when hovering over flowers. 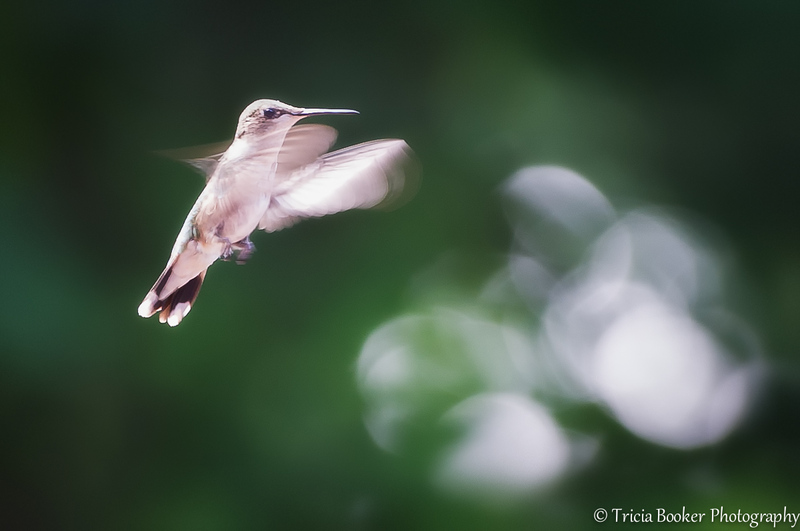 When photographing hummingbirds, I’ve had my best results hand-holding my camera and lens so I can follow them whether they fly low or high, from feeder to flowers. Earlier this year I purchased the new Nikon 80-400 4-5.6, and as much as I wanted to love that lens, I just don’t. Yes, it’s sharp, yes it’s got great reach for birding, but for some reason there’s no chemistry between us. I have trouble hand-holding it for any length of time, and because it’s darker than my 2.8 lenses, with my less-than-ideal eyesight, I just don’t seem to see as well through it. In fact, I’m planning to find it a new home with someone who will cherish it. Right now it sits in my bag, and that’s a shame. It should be out capturing images because it really is a lovely lens for the right person. My Arcanum Master Laurie Rubin recently asked us to list five goals (bucket list items) that we would like to achieve in the future. One of mine is to invest in a better birding/wildlife lens. My current kit was developed for equestrian photography, and it’s certainly OK for birding, but as those dedicated bird photographers out there know: You never have enough reach. In the meantime, I’ll enjoy hanging with the hummingbirds until they take off later this month for their winter homes. Nice shots, Sue! I enjoyed the biology of your post, too. Another fun way to shoot them is to purchase some cut flowers and put them out in a vase. I haven’t done that yet this summer but did last year and had some really fun results. I’ve found the more I sit outside with them the closer I can get. They don’t really like the shutter click, but some of them do start to ignore it. So nice to have them here for the summer. the colors in the second shot are gorgeous! 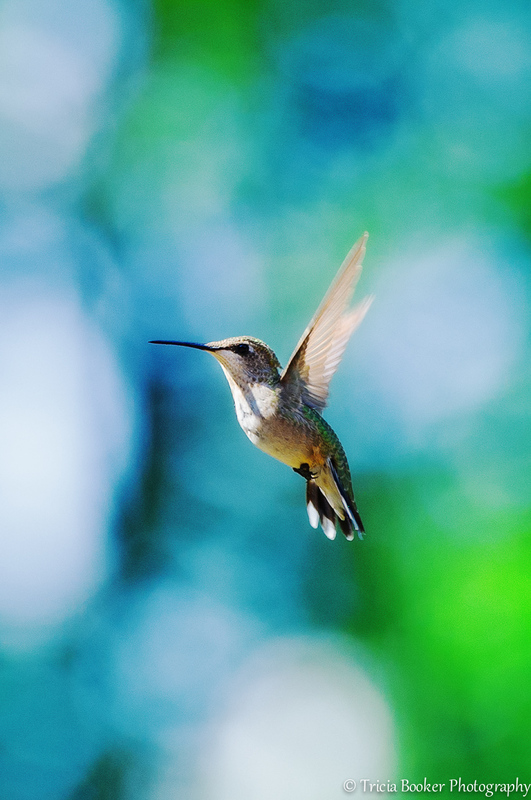 Hummingbirds always fascinate me. Love to see them come and visit my gardens. They are so fast though. These shots are impressive. Thanks! They are fast and hard to follow, especially when they’re sparring with one another. My goal is to get a good shot of two together! Thank you, Ali, for spending time on my blog! I appreciate the likes and the follow!